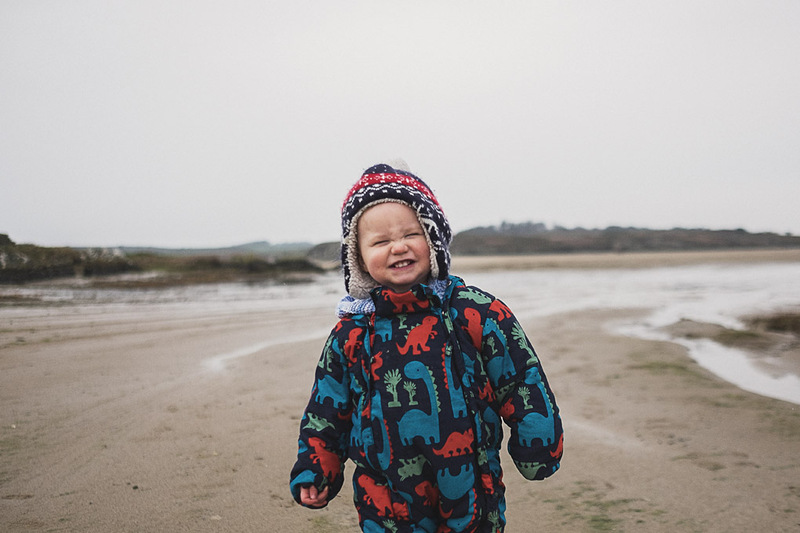 We spent this weekend in Anglesey – one of our favourite places and where we consider our second home. The weather was terrible all weekend so we didn’t get out and about as much as we would usually… but on Sunday we ventured out to Cymyran beach for a short while. This photo of Joe was seconds before disaster struck. 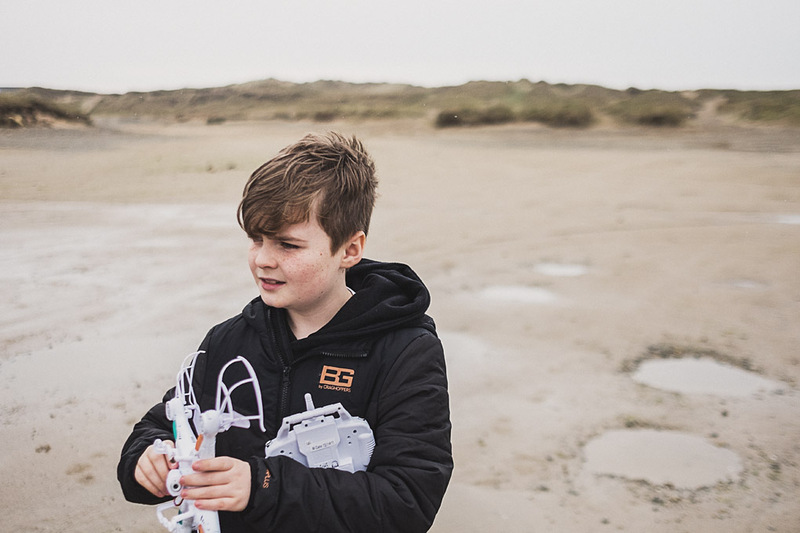 He wanted to fly his quadcopter (a birthday present) for the first time, but sadly it dramatically carked it on its maiden voyage due to a controller mishap that led it sailing determinedly into the sea, lost forever. It was pretty gutting at the time, and the poor lad was really disappointed, but he bounced back pretty quickly, as kids do, and to be fair, the memory of it shooting away into its watery grave does seem quite comical now… you have to look on the positive side of these things! Taken a few minutes after the demise of Joe’s quadcopter, Huey clearly could not care less about the tragedy that had just unfurled. This was the first time he has consciously smiled for the camera, and cripes that smile is a belter bless him.